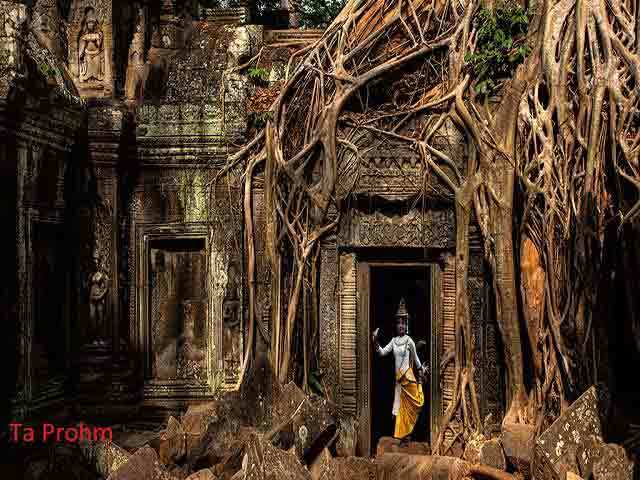 Discover the must-to-see of Cambodia with mysterious Angkor. Also an interesting boat trip in Tonle sap to enjoy the floating life of local people. Visit the enigmatic smiles of the 216 giant faces of the Bayon, Angkor’s strangest temple. Boat trip on Tonle Sap Lake. Experience nature running riot at the mysterious ruin of Ta Prohm, the original temple where famous film Tomb Rider with Angelina Jolie acted. Enjoy time at Bar street in Siem Reap town and shopping time at Angkor night market. 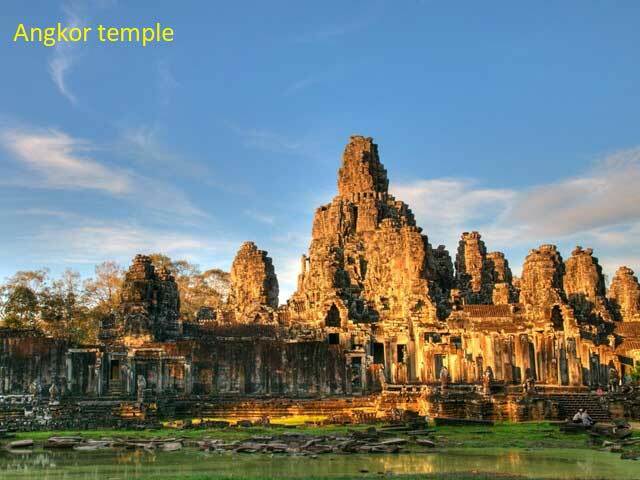 Visit The Small Circuit of Angkor Complex and enjoying night life in Siem Reap. Visit the less visited remote Angkor temples and experience the daily life of local people in floating villages. Upon arrival at Siem Reap airport, welcomed by tour guide and transfer to check in hotel. Then turn to Wat Thmei (Killing Field) which contains a unique glass-walled stupa containing the bones of victims of the Khmer Rouge. Some of the bones were recovered from a nearby well while others are the remains of soldiers who died on a nearby battlefield. 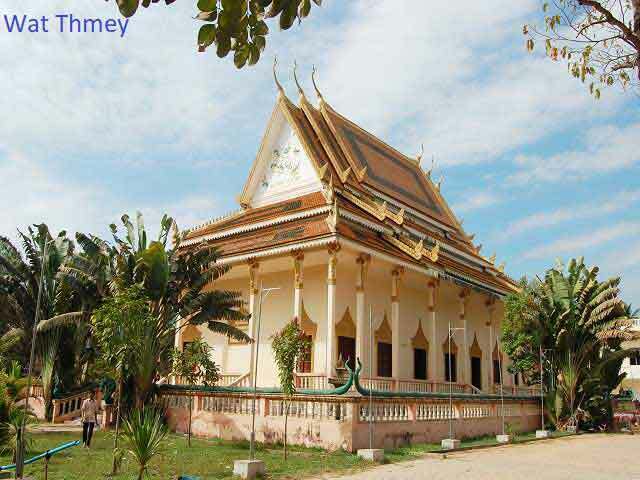 Come back to visit the "Les Artisans d'Angkor – Chantiers Ecole" the Finest Authentic Khmer Arts and Crafts.Overnight in Siem Reap! Breakfast at hotel, explore South Gate of Angkor Thom known as Big Angkor, 3km2 walled and moated royal city and was the last capital of the Angkorian Empire. The famous Bayon Temple was an architectural muddle, in part because it was constructed in a somewhat piecemeal fashion for over a century. Terrace of the Elephants is an impressive, two and a half meter tall, 300 meter long terrace wall adorned with carved elephants and gradual that spans the heart of Angkor Thom in front of Baphuon - huge temple mountain in the heart of Angkor Thom, Royal Palace Area and Phimeanakas - impressive rite and sandstone pyramid. Terrace of the Leper King is at the north end of the Terrace of the Elephants, a double terrace wall with deeply carved nag as, demons and other mythological beings. 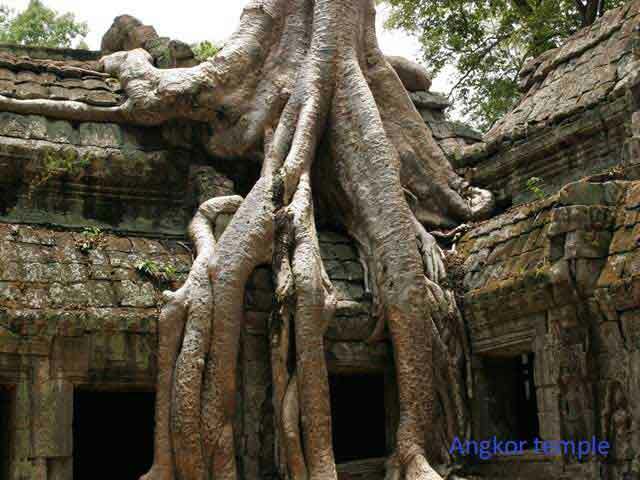 Last you will visit Ta Prohm temple which is a wonderful combination of human genius and natural beauty. Afternoon visit Angkor Wat temple, founded by Suryavarman II who reigned Cambodia from 1113 to 1152 and built the five towers in the 12th century to dedicate to the Hindu God Vishnu. The plan of the pyramidal conception of the temple combined with spaces, alleys, ditches is an ancient masterpiece of architectural design and construction. Overnight in Siem Reap. Have breakfast at hotel and check out. Visit Floating Villages, located 10 kilometers south of Siem Reap. 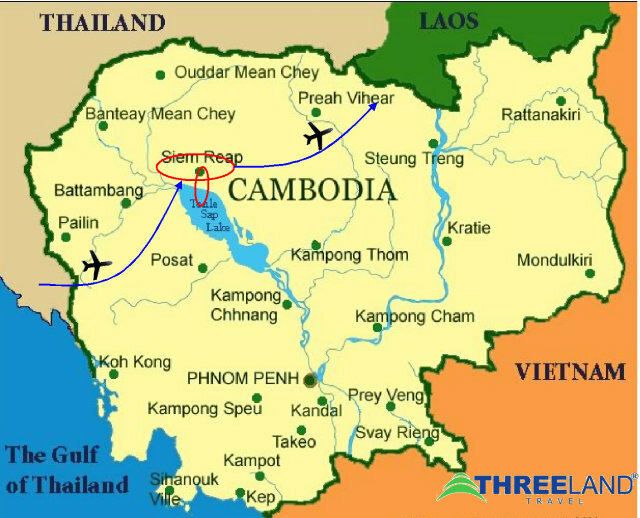 Take a ride in a traditional wooden boat on the Tonle Sap, the "Great Lake" of Cambodia and the largest in Asia. Here you’ll see plenty of examples of the Khmer way of life on the Tonle Sap. Free time until transfer to airport for your departure flight. End of services. Threeland guarantees high quality of services with competitive price. Please fill in your detail and one expert of our team will contact shortly. Sign up to get our latest updates and offers. Save up to 5% upon confirmation booking. In order to plan your desire holiday and secure our promotion rate, please fill the form below. We guarantee that your personal information will not be shared, exchanged or sold with / to anyone or other third organization.